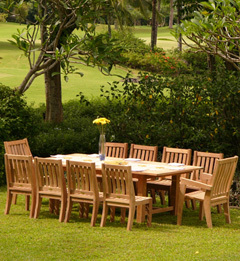 To receive Colton Teak’s special online pricing, simply order from the comfort of your home or office utilizing our online catalog and secure ecommerce shopping cart & check-out. Have questions? Contact us by e-mail at sales@coltonteak.com or call 734.418.0150. To utilize our online contact form, simply click here. A member of our staff will be in touch with you shortly. Please contact us at 734.418.0150. To send a facsimile, within the USA utilize toll free 800.881.6685. International clients please utilize 734.418.0150. European commercial clients may not contact our sales office in Paris via (33) 1 5301 3841. We are centrally located in the Southern California area with warehouse facilities in Riverside. Please contact us at 734.418.0150 or e-mail sales@coltonteak.com for an appointment. Address, hours of operation, and other details under Contact Us. European commercial clients desiring to arrange an appointment with a Sales Representative should contact our sales office in Paris via (33) 1 5301 3841.